WE WANT TO APPROVE OF YOU! CGG is PR friendly and accepts sponsors at our discretion. Companies wishing to sponsor CGG must be geek girl-friendly; we have a survey to help you determine if you are, and we can help with advice if you're not. Our goal is to promote business that is more geek girl-friendly than the norm, until one day all geeky businesses are truly girl-friendly. Businesses that are vetted as welcoming to geek girls will be invited to become sponsors, and they in return will also receive a CGG Approval that they can shout to the world! -Supply products that are geek girl-friendly, eg tee shirts in women's sizes? -Take other steps to make women feel welcome? You probably don't do all of these, but if you're doing some of them, you're ahead of the curve and we want to hear from you. If you're interested in sponsorship, please drop us a line at capitalgeekgirls (at) gmail (dot) com and we'll chat further! You can also get a sneak peek at the current fee structure and sponsorship levels right here. 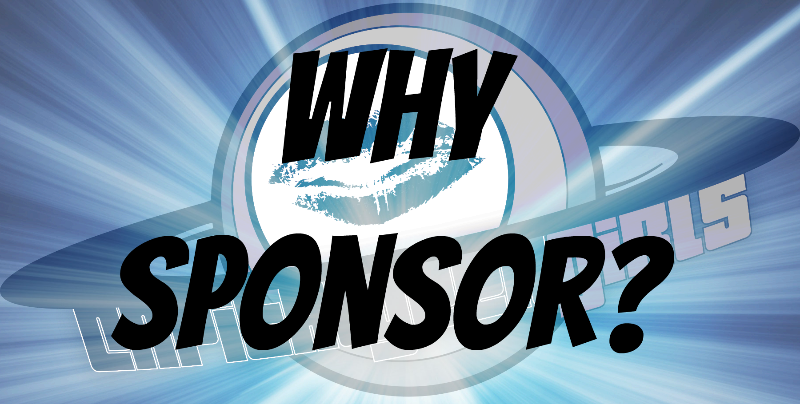 What if a geek girl reports a girl-unfriendly experience with a sponsor? If one of our sponsors starts to struggle with remaining geek girl-friendly, we will chat with our contact there and see if we can help remedy the challenge. We are only interested in supporting the businesses that support us girls, too. What does a business get for sponsoring CGG? Check out the fee structure/rate card link for full details, but typically they'll get ad space, girl-friendly certification, and other perks like posts featuring their product(s)/event. I'm just a one-person operation. How can I be involved? Check out the link to the fee structure, too. We've tried to think of everyone. Why does a Blogazine need funds? Everything you see on CGG, at a CGG event, and even the very layout of the CGG site, is done by someone's hands. That's a ton of time, love, and effort. CGG grew quickly, well beyond a part time hobby. There's overhead, too: cameras, mics, laptops, server/URL charges, etc etc etc. Just like a magazine, we need to pay ourselves, our writers, and our expenses. We believe that businesses who want CGG to support their growth should support ours in return. Then everyone grows and everyone wins!